Clear skies. Low 49F. Winds WNW at 10 to 15 mph..
Clear skies. Low 49F. Winds WNW at 10 to 15 mph. 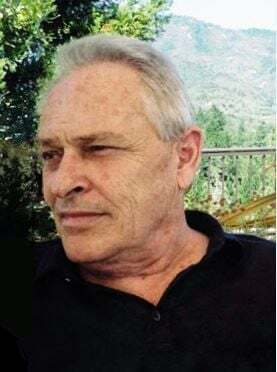 Ronald Eugene Altamura passed away at age 72 on Sunday, January 27th, 2019 from complications of advanced cancer. Ron was born on October 7th 1946 in Rochester, New York, and grew up there on the family property with his brother and sisters. All young boys get into trouble from time to time, and Ron was no exception, but Ron’s main motivation for mischief was coming up with more efficient methods to accomplish his chores — like the time when, attempting to plow snow on a frozen lake, he sank a brand-new tractor through the ice. All his life, he loved working with big toys: backhoes, cranes, and dynamite. In South Florida he met his wife Susan, and they were married on January 1st, 1994. Ron and Susan were the ultimate team. Together they built a house and a business they ran for over a decade. For a change of scenery, they moved to Napa, California 8 ½ years ago, where Ron loved his life and created many meaningful friendships. While he founded several companies in various industries throughout his lifetime, Ron was an engineer at heart. He loved figuring out how things worked, why they didn’t, and solving problems no matter how long they took. He enjoyed playing blues music on his keyboard, relaxing with a glass of Jack Daniels, and cracking jokes to make people smile. We were blessed with his example of immense integrity, strength, and a selfless heart. He will be missed more than words can say. He is survived by his wife of 25 years, Susan Altamura; his children Robbie (Bonnie), Ritchie (Melena), Sheri (Steve), Ron (Danielle), and Graham (June); grandchildren Anthony, Kelsey, Allison, Rachel, Olivia, Kylie, and Max; his mother, Bertha; siblings Sally, Carl, and Judi; and his keyboard, Roland. He is predeceased by his father, Carl Altamura. A celebration of Ron’s life will be held at 1PM on Saturday February 2nd, 2019 at La Strada restaurant at 6240 CA-29, American Canyon, CA. Donations can be made to the American Cancer Society.